LAKE PLACID — Kai McKinnon of Lake Placid earned one gold medal and two silvers in ski jumping and Nordic Combined Saturday at the Empire State Winter Games. McKinnon won her gold in Open Girls 20-meter ski jumping. She was second to Caroline Harrison of Lyme, Connecticut, in the Open Girls 48-meter jumping event and was the runner-up in the Open Girls Nordic Combined competition. In the Nordic combined on the 20-meter hill at the Olympic Jumping Complex, McKinnon was the leader after the jumping, but Abigail Van Dorn of Lake Placid, who was third after the jumping, secured the gold with the fastest cross-country time. Emma Morrow of Morrisburg, Ontario was third in the event. Harrison also finished first in the Under 16 Girls Nordic Combined event on the 48-meter hill. In the 20-meter ski jump, McKinnon had the top scores in both of her jump. Morrow was second and Natalie Sisemore of Sunapee, New Hampshire, was third. Eli Larkin of Plattsburgh was the gold medalist in the Under 12 Boys ski jumping on the 20-meter hill. Larkin won the event with his second jump, edging Trey Frantz of Lake Placid by one point. Jack Kroll of Delmar was third. Tate Frantz of Lake Placid won the Under 16 Boys ski jumping event on the 48-meter hill. 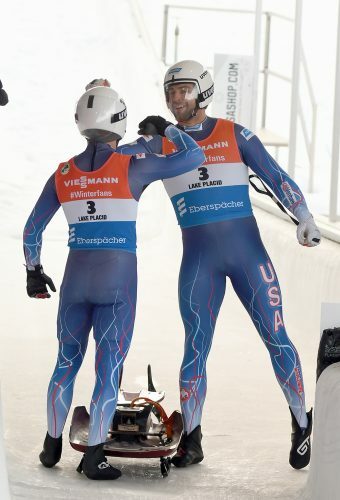 Evan Nichols of Lyme, Connecticut, was second and Bryce Kloc of Clifton Park was the bronze medalist. Seth Gardner of Colebrook, Connecticut, won the Open Boys 48-meter event over Sean Maloney of Bartlett, New Hampshire, and Cameron Summerton of Sunapee, New Hampshire. Angelo Goodwin of Lebanon, New Hampshire, captured the Under 12 Boys Nordic Combined gold with the fastest time in cross-country skiing after finishing fifth in jumping. Max Fey of Keene Valley was second and Larkin was third. LAKE PLACID — Nick Fitzsimmons of Lake Placid delivered the fastest performance at the distance, covering the 5-kilometer course at Paul Smith’s College in 25 minutes, 26 seconds to win a gold medal in snowshoe racing Saturday at the Empire State Winter Games. Ezra Hulbert of Mexico, New York, finished first in his age group, men’s 20-34, in three of the four races he competed in during the day. Kathleen Judice of Dayton, Maine, earned two golds and two silvers and Jay Niederbuhl of Saranac Lake finished with one gold and three silvers. Fitzsimmons placed first in the men’s 35-49 age bracket in the 5k, almost two minutes ahead of Niederbuhl. Jason Pare of AuSable Forks was third in that division. In the sprint races earlier in the day, Judice won the 100-meters, was second in the 400 and second in the 800. She won the women’s 5k by four minutes. Niederbuhl was second to Pare in the 100 by two-hundredths of a second, was second to Kevin Burton of Catskill in the 400 and won the 800. Hulbert’s wins came in the 400, the 800 and the 5k. 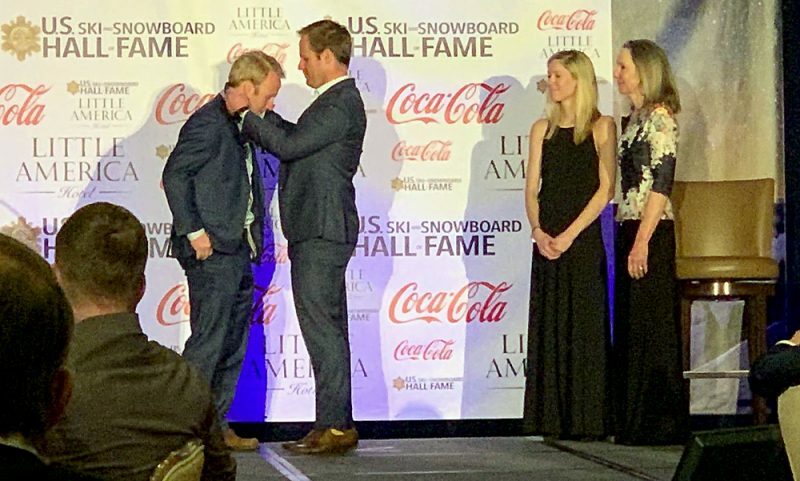 LAKE PLACID — Adaptive athletes Nick Fairall, Kevin Burnside and James Tardiff each earned a gold medal in Adaptive Nordic competition at the Empire State Winter Games. Burnside, of Little Falls, won his medal in the 2-kilometer interval start cross-country ski race on Saturday at the Mount Van Hoevenburg biathlon stadium. Tardiff, a resident of Woolrich, Maine, claimed his gold on Sunday in the reverse pursuit cross-country event. Fairall, of Andover, New Hampshire, won the biathlon competition on Saturday and was second in both cross-country ski races. LAKE PLACID — Eli Walker of Jackson, New Hampshire, turned in the fastest time of the day while winning his division in the Biathlon Sprint competition Saturday at the Empire State Winter Games. Jackson completed the 7.5-kilometer event with an elapsed time of 29 minutes and 56 seconds and hit eight of 10 targets to win the Male M40 (men’s 40-49) event. Brian Burr of Queensbury was second in the M40 at the Mount Van Hoevenberg Biathlon Stadium. The Female M40 was won by Stina Bridgeman of Canadaigua. Gary Brackett of Oneonta won the Male M50 with a time of 32:41 and five hits. Brackett finished ahead of runner-up Patrick Jensen of Scotia and John Witmer of Williston, Vermont. Gabriella Frittelli of Gansevoort won the Female M50 division. The Male M60 division was won by Darwin Roosa of Altamont, finishing in front of Gary Maslanka of Avon and Mark Chmielewski of Clinton. Arthur Stegen of New Paltz was the Male M70 winner. Eric Seyse of Scotia was the winner of the Senior Male (21-39) division. Anya Morgan of Upper Jay won the Youth Female (17-18) division. The athletes in the two races for younger competitors skied 4.5 kilometers. Bella Wissler of Saranac Lake won the female 13-16 race, hitting eight targets. In the male 13-16 race, Andrew Scanio of Lake Placid finished first with a time of 21:42 and nine target hits. Luke Moffett of Peru was second and Adam Jensen of Scotia was third. LAKE PLACID — Brian Burr of Queensbury had the best overall elapsed time figure in the 10-kilometer mass start Biathlon event Sunday at the Empire State Winter Games. Burr won the M40 age group (male 40-49) with an elapsed time of 46 minutes, 8 seconds. He hit 15 of 20 targets at the Mount Van Hoevenberg Biathlon Stadium. Eric Seyse of Scotia had the second-best elapsed time, 49:39, to win the Senior Male (21-39) division. Gary Brackett of Oneonta won the M50 with a time of 50:21, edging Patrick Jensen of Scotia and Brian Wieghaus of Paramus, New Jersey. Age-group winners in the 10k event: Youth Male – Nathan Collinswort, Freeville; Female 40 – Stina Bridgeman, Canadaigua; Female 50 – Gabriella Frittelli, Gansevoort; M60 – Gary Maslanka, Avon. The M70 and girls and boys races were at 7.5k. Arthur Stegen of New Paltz was the M70 winner. In the Girls (13-16) race, Bella Wissler of Saranac Lake was the winner. Andrew Scanio of Lake Placid topped Luke Moffett of Peru in the Boys (13-16) race by 15 seconds. Adam Jensen of Scotia was third. LAKE PLACID — Anna Nelson’s goal in a sudden-victory shootout round lifted Norwood-Norfolk to a 3-2 victory over Rome Sunday in the championship game of the Under-14 girls hockey tournament at the Empire State Winter Games. Nelson’s second goal of the game finally broke the tie at the Herb Brooks Arena. The teams battled through a scoreless overtime and could not decide the outcome during a five-round shootout. They moved into the sudden-victory round in which each team failed to score on its first try. Nelson delivered the decisive goal as the third shooter. Norwood-Norfolk lost just once in the tourney and Rome had just one victory. Rome reached the final with an upset 3-2 win Saturday over Saugerties. Kelsey Fuller scored both of Rome’s goals against Norwood-Norfolk. In the bronze medal game, Saugerties defeated Sara-Placid, 7-0. LAKE PLACID – Rowyn Pemrick of Clifton Park delivered the shootout goal that lifted the Troy-Albany Ice Cats to a 3-2 victory Sunday over the Canton Blades in the championship game of the Under-12 girls ice hockey tournament at the Empire State Winter Games sponsored by Community Bank. The Troy-Albany goals were scored at Herb Brooks Arena by Clara Corbin of Averill Park and Corrine Spade of Ballston Lake. Canton’s goals were scored by Danielle Emerson of Potsdam and Mia Jeneault of Ogdensburg. Saugerties finished third in the tournament. LAKE PLACID — Ryann Gelder had three goals and two assists Sunday to lead New York City to a 6-3 victory over Long Island in the title game of the women’s open hockey tournament at the Empire State Winter Games. Sharon Hanley was the top scorer for Long Island with a goal and an assist in the championship game played on the USA Rink in the Olympic Center. The New York City team completed the round-robin portion of the tournament with a 4-0 record, while Long Island finished at 3-1. Potsdam was the bronze medalist. LAKE PLACID — The Hurricane Girls team of Sarah Tansey of Derby and Haylie Buysse of Cortland won the lightweight division in junior bobsled racing Saturday at the Empire State Winter Games. Finshing second in the lightweight race was the team of Emmett Connolly of Custer City and Liam McKenna of Dix Hills. The middleweight division race was won by the team of KC Snavely of Delmar and Chance Petteys of Dix Hills. Joey Meadows of Dix Hills picked up his second medal of the day when he won the junior skeleton race. Nathan Abrams of Diamond Point was second and Xavier McKenna of Dix Hills was third. LAKE PLACID — Arron Kopp, Cherise Wilkins and Julie Gehring all earned their fourth gold medals in long track speed skating at the Empire State Winter Games on Saturday. Kopp of Saratoga Springs was the fastest man in the 3,000-meter Masters race. He won medals in the 500, 1000 and 1500 Friday evening on the Sheffield Olympic Oval. Like Kopp, Wilkins of Syracuse and Gehring of Williamsville added victories in the 3000-meter event. Wilkins was the female Masters winner and Gehring won the female Open division. Gabriel Hasselback of Hamburg won the 1800-meter Men’s Pre-Scholastic A race and Cassandra Clarke had the best time in the Women’s 1800 in Pre-Scholastic A.
Hudson Peck of Schuylerville and his brother Hayden finished 1-2 in the 600-meter Pre-Scholastic B race. Mitchell Zdrojewski of Clay was third. LAKE PLACID — Cherise Wilkins of Syracuse and Arron Kopp of Saratoga Springs each won three Empire State Winter Games gold medals in long track speed skating Friday on the Sheffield Olympic Oval. Wilkins, a veteran national-level competitor and coach, swept the female 500-meter, 1000-meter and 1500-meter races. Kopp was the fastest man in the 500-, 1000- and 1500-meter events. Julie Gehring of Williamsville was the ladies open winner in the 500, 1000 and 1500. In the 500-meter female competition, Julie Gehring of Williamsville was the open division winner; Lily Davis of Wilton had the fastest time in Pre-Scholastic A; Olimpia Kazanecka of West Orange, N.J. was the winner of Pre-Scholastic B. In the 500-meter male event, Julius Kazanecki of West Orange, N.J. was first in Pre-Scholastic A; Hudson Peck of Schuylerville, the son of five-time U.S. Olympic short track skater Amy Peterson Peck, won the Pre-Scholastic B race; Richard Anglin of Unionville, Ct. won the Scholastic A competition; Tommy Fitzgerald of Suffield, Ct. was the titlist in the Scholastic B and Sean Lippa of Spencerport was the winner of the Scholastic C event. In the 1000-meter male event: Gabriel Hasselback of Hamburg was the winner; Hudson Peck of Schuylerville earned his second ESWG medal in the Pre-Scholastic B race; Matthew Crovella of Manlius was first in Scholastic A; Tommy Fitzgerald picked up his second gold in the Scholastic B and Sammy Hart-Gorman of Syracuse was first in Scholastic C.
In the 1500-meter male races, Matthew Crovella of Manlius won this second ESWG gold in Scholastic A; Tommy Fitzgerald of Suffield, Ct. doubled in the Scholastic B and Sean Lippa of Spencerport took home his second gold in Scholastic C.
LAKE PLACID — Eli Iacovoni of Plymouth, Michigan, edged Robert Davis of Delmar in the Youth Men’s Open division of the luge competition Saturday at the Empire State Winter Games. Matthew Gannon of Lake Placid won the gold medal in the Masters division at Mount Van Hoevenberg. Jim Murphy of Amherst, New Hampshire was second and Scott Prehn of Saratoga Springs was third. Iacovoni completed his two runs on the course in 1:34.156 and finished .114 seconds ahead of Davis in the closest result of the morning. Nevan Kalbfleisch of Fairfax, Vermont, was third in the event, which had 12 athletes. Brianna Gosnell of Evansburg, Pennsylvania, won the Youth Open Women’s race over Sadie Martin of Vermontville. Theresa Prehn was third. Caitlyn Petteys of York, Pennsylvania, won the Youth A Women’s race. Jessa Muller of New London, Wisconsin, finished second and Mary Grace Richardson of Mount Vernon, Ohio was third. The Youth A Men’s race was won by Marcus Mueller of Brookfield, Wisconsin. The runner-up was David D’Amico of Downers Grove, Illinois and third was Ansel Haugsjaa of Framingham, Massaschusetts. LAKE PLACID – Colton Martin of Erie, Pennsylvania, won the 2.5-kilometer freestyle cross-country ski race at the Empire State Winter Games Friday night. The race at the Dewey Mountain Recreations Area in Saranac Lake drew 49 competitors. Martin, who races for the New York Ski Educational Foundation, completed the course in 5:44 and finished 13.1 seconds ahead of Alex Fragomeni of Saratoga Springs. Christopher Rose of Peru was third. Maddi Relyea of Mayfield was the female winner with a time of 6:28. Relyea, who competes for Mayfield Nordic, finished eighth overall. Fianna Halloran of Gloversville was the runner-up in the female division and Audrey Emerson of Paul Smith’s was third. 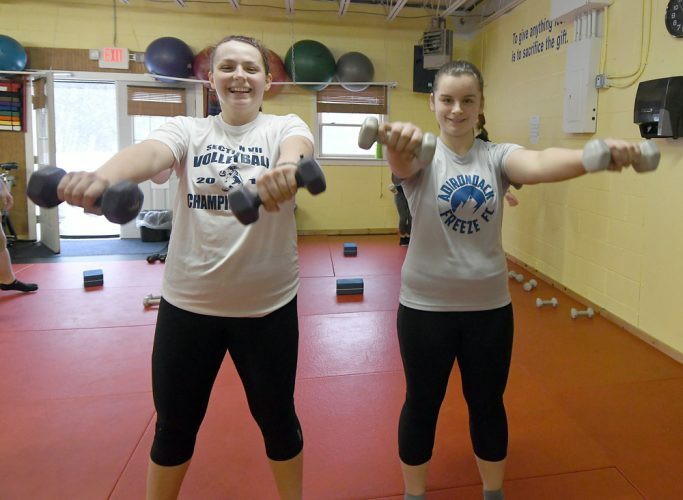 In the female age-group competition, Emerson was the senior winner, Relyea finished first in under-18, Delaney LaFontaine of Gloversville topped the under-16 list and Halloran was best in under-14. Age-group winners in the men’s competition: M1 – Eric Seyse, Scotia; M4 – Christopher Rose, Peru; M5 – Jim Miller, Adams; M6 – Patrick Jansen, Scotia; M7 – Mark Chmielewicz, Clinton; Mark Paprocki, Irondequoit; M9 – Chris Beattie, Lake Placid; Senior – Scott Bollt, Potsdam; Under-14 – Daven Linck, Saranac Lake; Under-16 – Thomas Wiedmann, Clifton Park; Under-18 – Colton Martin, Erie, Pa.; Under-20 – Jack Fogarty, Paul Smith’s. Sean Rose of Peru won the 1-kilometer race in the 7-11 age group, edging Mason Stoddard of Saranac Lake by 1.4 seconds. Lucille Dent of Hanover, N.H. was fourth overall and the top female skier in the race. LAKE PLACID — Gabriel Munter of Lake Placid and Audrey Higgins-Lopez of Ithaca earned gold medals in Ski Cross events at the Empire State Winter Games Friday at Whiteface Mountain. Munter finished first in the Open Men’s division, while Higgins-Lopez topped the field in the Open Women’s division. Maxx Solly of Colden was second in the men’s race and Jack Schleyer of Glenwood was third. 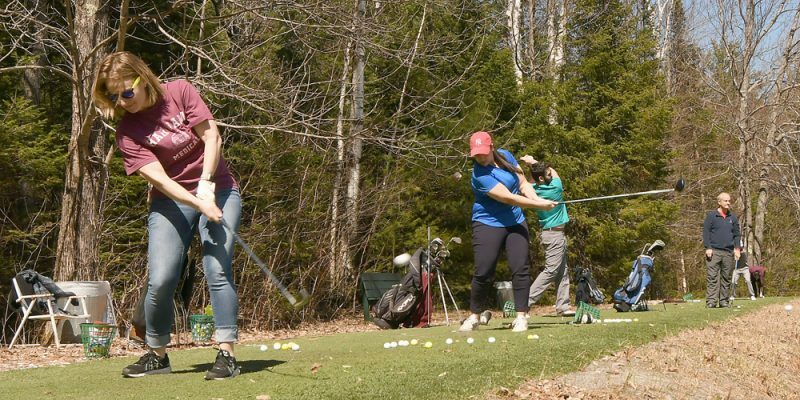 Following Higgins-Lopez were Ella Blair of Bethel, Maine, and Kiely Rose of Clifton Park. Tyler Hamel of Franklin, New Hampshire, won the Open Men’s Snowboard Cross event, finishing ahead of runner-up Nathan Pare of Farmington, Maine. Dali Gao of Bethel, Maine, was third. The Open Women’s Snowboard Cross race was won by Katie Kennedy of Wall, New Jersey. Aleksa Keeler of Malone was second and Sofie Stasinos of Peabody, Massachusetts was third. Jake Demko of Lowville won the 15-17 Men’s Ski Cross race, beating Camden Reiley of Saranac Lake and Wilson Sludzinski of Hamburg. The 15-17 Women’s Ski Cross race was won by Katie Kavari of East Aurora. Kavari reached the finish ahead of Dakota Goodwin of Porter Corners and Jenna Block of Williamsville. In the 15-17 Men’s Snowboard Cross, the Aaron Davies of Williamsville was first, beating Uriah Farr of Saranac Lake. Hunter Goodwin of Porter Corners was the fastest down the course in the 14 and under Boy’s Ski Cross. Lukas Miemis of Saranac Lake was second and Henry Parobeck of Saratoga Springs was third in the field of 13 athletes. Mayah Land of Saranac Lake won the 14 and under Girl’s Ski Cross race. Mary Mangan of Derby was second and Lily Fisher of Lake Placid finished third. The 14 and under Boy’s Snowboard Cross was won by Calvin Minich of Custer City, Pennsylvania. Kyan Chase of Buffalo was the runner-up. Grace Dalton of Oakville, Ontario, topped Eugenie Gomes of Toronto, Ontario, in the Girl’s 14 and under Snowboard Cross. LAKE PLACID — Emma Whitehead of Hopewell Junction and the Hudson Valley Figure Skating Club was the gold medalist in the Intermediate Ladies Excel Group A division Friday at the Empire State Winter Games. Whitehead topped seven other skaters in the competition at the Olympic Center. Medals were awarded in 29 groups in the mid-afternoon program. Skaters from 20 clubs earned gold medals. The Uncle Sam Figure Skating Club based in Albany and the Potsdam Figure Skating Club each had three gold medalists. Intermediate Ladies Excel – Group A: 1. Emma Whitehead, Hopewell Junction. 2. Morgan Waite, Watertown. 3. Caroline Peiser, Great Neck. Juvenile Plus Excel – Group A: 1. Victoria Haviland, Kinnelon, N.J. 2. Sofia Bregande, Manlius. 3. Emily Milleville, Lockport. Juvenile Plus Excel – Group B: 1. Lydia Scherfling, Baldwinsville. 2. Bethany Hayes, Mechanicville. 3. Sofia Pagliaro, Catskill. Juvenile Plus Excel – Group C: 1. Katerina Dunleavy, Troy. 2. Kassidy Hunt, Watertown. 3. Victoria Fuzak, Kenmore. Juvenile Girls Excel – Group A: 1. Manasa Bala, Latham. Brianna Grant, Potsdam. 3. Kiera Levitt, Lake Placid. Juvenile Girls Excel – Group B: 1. Charlize Haddow, Dexter. 2. Caitlyn Reed, Massena. 3. Jaelynn Stowell, Gouverneur. Juvenile Girls Excel – Group C: 1. Carly Mattice, Canton. 2. Emma Banuski, Syracuse. 3. Madison Sciera, Cortland. Juvenile Girls Excel – Group D: 1. Emily Maloney, Lancaster. 2. Madeline Timerman, LaFargeville. 3. Nina Bennardo, Huntington. Pre-Juvenile – Group A: 1. Payton Newitz, Melville. 2. Melania Blecic, New Hyde Park. 3. Julia Cho, Whitestone. Pre-Juvenile – Group B: 1. Luna Romero, Port Washington. 2. Tova Shafran, Great Neck. 3. Francesca Giumenta, Garden City. Pre-Juvenile – Group C: 1. Samantha McEntee, Latham. 2. Sydney Levine, Dix Hills. 3. Isabella Segarra, Rochester. Pre-Preliminary Girls Excel – Group A: 1. Eileen Ren, Forest Hills. 2. Olivia Walton, Clayton. 3. Darya Stoughtenger, Hammond. Pre-Preliminary Girls Excel – Group B: 1. Autumn Masuk, Norwood. 2. Inuki Wickramasekera, Williston Park. 3. Autumn Morgan, Fort Drum. Pre-Preliminary Girls Excel – Group C: Sara Dorish, Astoria. 2. Gianna Williams, West Seneca. 3. Sofia Bane, Niskayuna. Pre-Preliminary Girls Excel – Group D: Annemarie Testa, Orchard Park. 2. Alexa Bloomquist, Bay Shore. 3. Margaret Klimek, Syracuse. Pre-Preliminary Girls Excel – Group E: 1. Sarah Higgins, Tupper Lake. 2. Cailyn Sawchenko, Oceanside. 3. Ava Schmadel, Saugerties. Pre-Preliminary Girls Excel – Group F: 1. Jasmine Snow, Norfolk. 2. Samantha Reagan. 3. Margot Klein, Baldwinsville. Pre-Preliminary Girls Excel – Group G: 1. Katelyn Biggs, Syracuse. 2. Peyton Burns, Cortland. 3. Devorah Wynn, Brooklyn. Pre-Preliminary Girls Excel – Group H: 1. Jocelyn Melore, Wappingers Falls. 2. Angelina Osback, Commack. 3. Megan Martin, Canton. Pre-Preliminary Girls Excel – Group J: 1. Jazmyn Villnave, Potsdam. 2. Olivia Fariello, Athens. 3. Izabella Ippoliti, Marcellus. Pre-Preliminary Girls Excel – Group K: 1. Teagan Saiff, Potsdam. 2. Kaitlin Mullen, Ransomville. 3. Elizabeth Fortune, Lake Placid. LAKE PLACID — Chelsea Smith of Lake Placid and the Northwood School turned in the fastest time of the second run Saturday to win the gold medal in the women’s giant slalom in the Empire State Winter Games. Jake Reynolds, also of Lake Placid and the Northwood School, posted identical times in his two runs at Whiteface Mountain to post a comfortable victory in the men’s giant slalom. Audrey Higgins-Lopez of the Northwood School had the best time of the first run, 1:05.9, but she did not finish her second run. Smith, who had a time of 1:06.7 in her first time down the course, claimed the gold with a second run in 1:05.3. Her total time of 2:12 was one-tenth of a second faster than Beth Fisher of Lake Placid and the Northwood School. Zoe Knauss of Ellicottville was third with a time of 2:13.0. With his 1:02.1 in the first run, Reynolds was the only skier under 1:03. Hugh Dempsey of Lake Placid and the Northwood School was the fastest skier in the second run with a 1:01.7, but Reynolds’ second 1:02.1 enabled him to win the race by more than two seconds in 2:04.2. Andrew Van Slyke of the Lake Placid was third. A total of 73 skiers started the men’s race and 60 started in the women’s competition. LAKE PLACID – Competition in figure skating – the most popular sport in the Empire State Winter Games with 567 athletes registered – began Friday at the Olympic Center. Annabelle McKenzie of Baldwinsville, a member of the Skating Club of Central New York finished first to earn the gold medal in the Juvenile Girls, Group A event. Ava Zakrzewski of Niskayuna and the Hudson Mohawk Figure Skating Club was second and Keira Lash of Stamford, Ct. and the Rye Figure Skating Club was third. Juvenile Girls – Group B: 1. Dalila DeLaura, Skating Club of New York. 2. Maeve Owens, Voorheesville. 3. Lucy Petscher, East Amherst. Pre-Preliminary – Group A: 1, Nora Petscher, East Amherst; 2. Michelle Klepp, Hopewell Junction. 3. Ella Bauer, New York. Pre-Preliminary – Group B: 1. Audrey Chen, Great Neck. 2. Claire Meng, Great Neck; 3. Alexis Taylor, Campbell Hall. No Test Girls – Group A: 1. Olivia Munn, Farmingville. 2. Anna Gorski, Purchase. 3. Anissa Mamaev, Martinsville, NJ. No Test Girls – Group B: 1. Catalina Narvaez, Nutley, NJ. 2. Aidan Rafferty, Garden City. 3. Lisa Crespo, Wallkill. No Test Girls – Group C: 1. Sofia Rosa Mazza, New Windsor. 2. Madison Greico, Commack. 3. Madison Bertuccio, Goshen. No Test Girls – Group D: 1. Justine Gazzola, Monroe. 2. Gianna Cammarano, West Islip. 3. Sofia Catalo, Rock Tavern. Pre-Juvenile Plus Excel – Group A: 1. Allison Milleville, Lockport. 2. Maggie Fipps, Watertown. 3. Emily Mayo, Clinton Corners. Pre-Juvenile Plus Excel – Group B: 1. Kylie Felder, Plessis. 2. Kayleigh Moss, Homer. 3. Alexandria Perkins-Grimaldi, Alexandria Bay.